Full papers will be double-blind peer-reviewed by at least 2 anonymous independent reviewers from the International Program Committee (IPC) and ranked based on quality, relevance, originality, and impact. Conference chairs and track chairs make the final decisions of acceptance and rejection based on anonymous reviewers’ recommendations. Rejected full papers may be considered to be accepted as poster or panel submissions. Accepted papers will be published in the conference proceedings and will have 20+5 minutes allotted presentation time at the conference. Short papers will be double-blind peer-reviewed by at least 2 anonymous independent reviewers and ranked based on quality, relevance, originality, and impact. Conference chairs and track chairs make the final decisions of acceptance and rejection on the basis of the IPC’s recommendations. Rejected short papers may be considered to be accepted as poster submissions. Submit a panel proposal containing an introduction and abstracts from individual discussants (3-6 people) with a total maximum of 6 pages on the ISEA2016 paper template. Please make sure your panel proposal PDF file is completely anonymized, i.e. contains no author-related information (no institutional affiliation, bio, author name(s) etc. in body of text or as explicit self-citations, notes and bibliography). Panel proposals will be double-blind peer-reviewed by at least 2 anonymous independent reviewers and ranked based on quality, relevance, originality, and impact. Conference chairs and track chairs make the decisions of acceptance and rejection on the basis of the IPC’s recommendations. Abstracts of accepted panels will be published in the conference proceedings and will have 30+15 to 60+30 minutes allotted presentation time at the conference, depending on the number of speakers. Submit an abstract of a maximum 1 page on the ISEA2016 paper template. Poster / demonstration proposals do not need to be anonymised. Abstracts of accepted posters will be published in the conference proceedings, and will be allotted a wall space (with electricity and internet connectivity by request) at the conference venue. Authors of accepted posters will be requested to stand by at their allotted location during a scheduled poster tour during the Symposium. Submit a proposal of maximum 500 words on the ISEA2016 paper template with links to appropriate documentation materials. Artist talk / work-in-progress presentation proposals do not need to be anonymised. Proposals for artist talks / work-in-progress presentations will be selected by conference chairs based on quality, relevance, originality, and impact. Accepted artist talks / work-in-progress presentations will have 10 minutes allotted presentation time at the conference. Please note that artwork proposals do not need to be anonymized. Artwork proposals will be juried by at least 2 anonymous independent reviewers and ranked based on quality, relevance, and originality. Symposium chairs make the final decisions of acceptance and rejection based on the anonymous reviewers’ recommendations, the overall feasibility of the project, and the fit with the symposium’s exhibition programme. Rejected proposals may be considered to be accepted as artist talks or as posters/demonstrations. We invite proposals for half-, full- or two-day workshops and tutorials to take place during two days preceding ISEA2016. On the one hand, these are intended as opportunities for academics and practitioners to discuss and work on specific topics, while on the other, they are also appropriate for engaging with the general public. 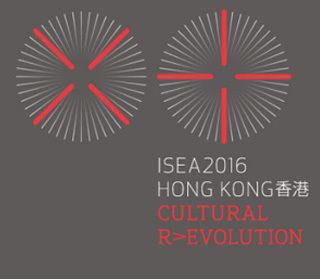 While workshop organisers are invited to consider the themes of ISEA2016, proposals on all matters relevant to ISEA community and beyond are welcome. Accepted workshops will be announced on the symposium website, and organisers may release their own call for submissions. Workshop organisers may request a presentation slot during the conference to report on the work done in their respective workshops and may submit a one-page abstract of their workshop proposal to be included in the proceedings. There may also be opportunities for exhibiting the outcomes of workshops and tutorials. Workshops are to be held at the Jockey Club Innovation Tower of The Hong Kong Polytechnic University or Creative Media Centre of City University of Hong Kong. While all accepted workshops will be provided with a room with a projector, also more specific needs for space and equipment (e.g. a computer lab, wet lab, design studio, wood workshop, etc) can be discussed. Please refer to the websites of PolyU and CityU to get an idea of spaces possibly available. Title of the workshop / tutorial. Proposals for Workshops/Tutorials will be selected by Workshop and Tutorials Chair, based on their on quality and relevance. We invite proposals for Institutional Presentations from communities working on matters pertaining to the themes of ISEA symposia. These proposals will be selected by Symposium Directors, based on their relevance to contemporary trends, developments, and debates at ISEA2016 and beyond. These presentations are intended as opportunities for networking and as a forum for institutions such as galleries, museums, NGOs, networks, schools, and companies to introduce themselves to the community and discuss for example organizational, financial, and curatorial matters. Submit a proposal of a maximum of one page on the ISEA2016 template. Institutional presentations are selected, based on their relevance to the ISEA mission, by the organizing committee members. Institutional Presentations will have 10 minutes allotted presentation time at the conference, and an allotted space for presenting posters, brochures, banners, and other relevant materials. Specific space requirements for larger-format demonstrations and displays can possibly be catered for. Please specify these in the proposal. Note that proposals for institutional presentations do not need to be anonymised. Note that presenters of institutional presentations are not eligible symposium fee discounts. Note that proposals for Events in Public Space do not need to be anonymised.